Brother, you and me go way back. Yeh, that's right - that was me right in front of the stage, at the Spectrum in Philadelphia. What tour? Fandango. 1975. That was my first ZZ show of… Well, hell, Billy – I’ve lost count. It’s definitely measured in the dozens, maybe closing in on 100? I’ve flown to California to see you at Lake Elsinore, and I’ve sweated Dusty’s health problems (not to mention that little pistol-in-the-boot incident). Followed a tour from Pennsylvania to Ohio and back to New Jersey. I’ve got a pretty long tale built up following your little ol’ band from Texas. I saw you just over a month ago, at the Count Basie Theater in Red Bank, New Jersey – man, I love those smaller theater shows, though I’ve seen you lay down the power in places ranging from that size on up to baseball stadiums. But Billy, we gotta talk. I’m getting tired. 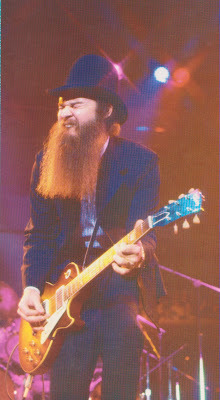 Whoa, not of ZZ Top! But it’s that set list. Sometime in the last ten years or so, you drove the Eliminator right into a rut, and you’ve been pretty much stuck in the mud ever since. Diggin' deep with Miss Pearly! Look at your bad self - have mercy! You and Dusty and Frank have been working stages for more than four decades. Not counting greatest hits or compilations, you have 15 albums to dig into. Even your old contemporaries, the Rolling Stones (you gave them a run for the money a time or two, remember?) take great pleasure when they tour now in trolling through the back catalog, offering up little-heard gems and giving their audience a “Who knows what they’ll play tonight?” thrill. Unfortunately, we ZZ fans almost always know. Sad to say, wondering if we’ll get a “Surf’s up!” or a “Hell yeah!” in the break in “La Grange” is often the dramatic concert highlight these days. As recently as 1996, when you played the Tower Theater in Philadelphia, you were really mixing it up. “Stop Breaking Down Blues,” “I Walked from Dallas,” “Nasty Dogs and Funky Kings,” “Brown Sugar,” “What's Up with That,” “Heard it on the X,” “Bang Bang,” “Rhythmeen” - have mercy! Man, what happened to that adventurous set list spirit? I don’t expect the three of you to huddle around the camp fire and cook up a new set list every night, but let’s stop going through the motions and start going through the back catalog! 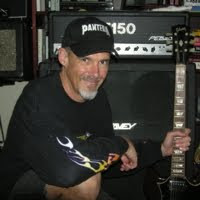 A few years back when you were out on the road with modern-day Lynyrd Skynyrd, they played a hand you might want to look into: a verse or two and a chorus or two of about ten songs everyone wanted to hear packed into a seamless medley. That neat trick opened up the set list for some more interesting material. The casual fans got to hear their comforting medodies, the deep fans got their deep tracks. We’re all happy! Imagine putting the tempo-simpatico synth-pulse tracks into a nice eight minute package, leaving plenty of acreage for something like “Black Fly” or “Poke Chop Sandwich.” Now you’re cookin’ with hot sauce! 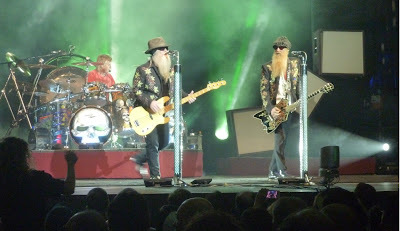 The ZZ Tops, running down that set in Red Bank, New Jersey, 8/31/2011. OK – es bastante for the stage work. I've always defended your guitar skills to those who see nothing more than the cartoon-ish image that, admittedly, has helped bring you so much success. They must be too blind to hear the tone, taste, and most important – talent. Those albums from Antenna to Mescalero – you were pushing guitar tone right out of the zone, and playing fierce. In my mind, it was just about down to you and Jeff Beck as the Big Two among the heavyweight guitar contenders. Things were awful quiet in that long delay leading up to Mescalero and the silence that followed. So when you guys split with Bill Ham's management, I thought that might open things up. I was expecting something – but what we've got is nothing. That weird album of covers of your songs that just came out, ZZ Top - A Tribute from Friends? I mean, really? Billy – now hear this: get up, get in studio, get busy! If RCA or whatever corporate megalith that passes for a 'major label' these days doesn't want you, I'm betting an ATO or similar label would. Let's get that creative renaissance happening, Rev. Do a cover album of blues songs if you can't get it together to write anything. At least that would be something. Do people want to hear Wyclef Jean and Nickleback – not to mention that nightmare of a Mick Fleetwood so-called “supergroup” - doing ZZ Top songs? Hell, no – they wanna hear you! Inner spread of Tres Hombres vinyl. Heaven on earth. Think about that spread of Mexican delight that filled the inner artwork of Tres Hombres like some kind of beautiful dream. 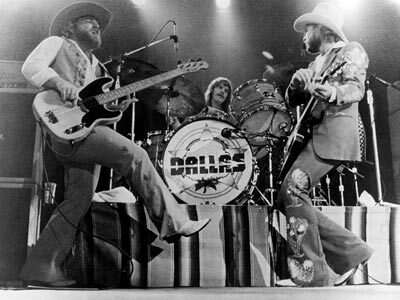 That was ZZ Top. The current ZZ Top, toting a sleepwalking set list and avoiding the studio? Taco Bell. Hasta la vista en la taqueria!